MIAMI, Fla. - A Florida woman who was arrested after authorities found her baby in the trunk of her car during a traffic stop appeared in court Wednesday and said she made a mistake, reports CBS Miami. Authorities in Broward County said they initially tried to stop Breona Watkins because of a broken headlight. But instead of immediately pulling over, Watkins kept driving for about a quarter-mile, according to the station. 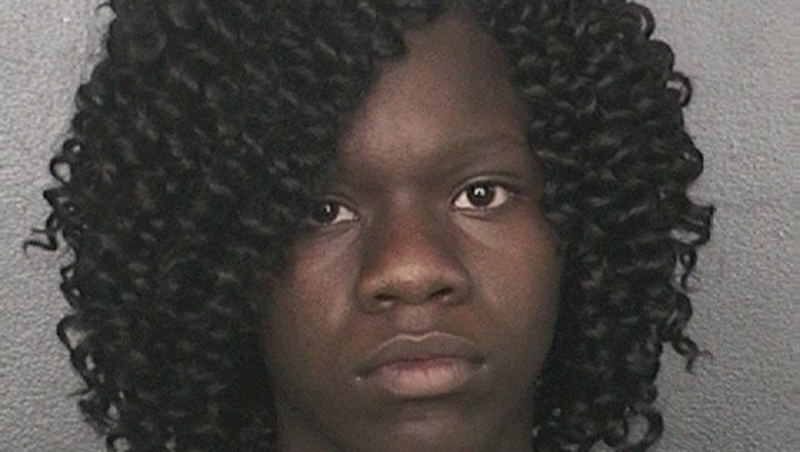 Deputies said Watkins, 19, didn't want a ticket for not having the baby in a car seat, so she told a 14-year-old in the passenger seat to hide the baby in the trunk before stopping. Deputies said they didn't realize the child was in the trunk until after they placed Watkins into a squad car for driving with no license. That's when a deputy said he heard crying coming from the trunk and found the child. The baby was reportedly found lying on top of a large pair of bush cutting shears, a rusty metal hanger, a plastic CD case and a large rusted tire iron. Authorities also said there was a used gas can in the trunk of the car, a used fuel pump, plastic bags and many other hazardous materials which could have easily injured or killed the infant. During a custody hearing Wednesday, Watkins' grandmother, who is trying to gain custody of the 5-month-old, said her granddaughter is a good mother and simply had a lapse in judgement. Watkins is facing a slew of charges including child abuse without great bodily harm, resisting an officer without violence, operating without a valid driver's license and no safety belt for a passenger under 18. The baby is the custody of the Florida Department of Children and Families. The department is evaluating if Watkins' grandmother is fit to take custody of the baby. Watkins is being held on $7,000 bond.